Denny Anderson was among the first to befriend me when I was the new kid in school in eighth grade, and he was like a brother to me through high school and college. Denny and I were roommates in the little town in Western North Dakota where I took my first newspaper job. Then, as so often happens, we went our separate ways. I thought about him often over the years, but it was three decades before we got back in touch, through the miracle of Facebook. Denny and Tim. After thirty years, the important stuff was the same. through good times and hard times and had helped send beautiful children of our own out into the world. But in the course of a beautiful (one of Denny’s favorite words) evening, I think we both realized that in all the important ways, neither one of us had changed that much. We took right up where we had left off. And we talked about Chet’s place in that small Minnesota town where we grew up. I wrote this essay several years ago. For Denny and all the others from Chet’s gang, living and dead, it’s time to dust it off. In the beginning I was a brown-pop kid. On summer mornings in Minnesota, my brother Steve and I rode bikes across town to Little League games, and on our way home stopped at the lumberyard owned by our dad. Inside the office, Dad kept a pop machine that for a dime dispensed ice-cold bottles of Coca-Cola, which tasted very good. 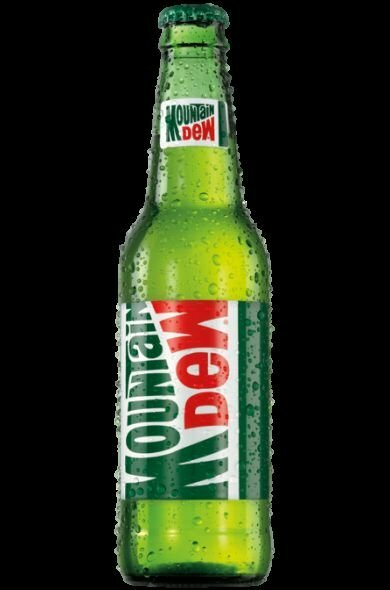 I didn’t learn of the alternate universe of Mountain Dew drinkers until I was thirteen or so. That was when friends introduced my brother and me to Chet’s Place, where all the guys drank Dew, and where over the next several years some of the sweetest, most innocent hours of our boyhoods were spent. Why should I remember Chet’s now? For years as an adult, I’ve enjoyed Mountain Dew with my sandwiches at lunch. Yet it was only recently, sitting at my desk, happily sipping a Dew, munching on a mouthful of crushed ice, that I realized my current preference in sodas might be due to more than just its pleasing taste. This soft-drink story really begins on a very sad day in 1958 when a boy named Tommy Dahlgren died of cancer on his eighth birthday. Chet was his father, a strapping World War II veteran with a buzz-top haircut. At the time he was a member of the police force in Crookston, Minn., the farming village where I grew up. After his only child died, Chet could no longer stomach the inevitable police calls to fatal accidents, so he quit the force and set up a machine shop behind his house. He also stocked not one but two pop machines in his shop, and he bought boxes of red licorice, Snickers bars, Salted Nut Rolls, lots of bubble gum, cheese and crackers and potato chips hoping that neighborhood kids might come and visit his workplace, keep him company, perhaps relieve a little of the sting of his grief. At first, only the neighborhood boys (no girls ever visited Chet’s, for some reason) started hanging there. The kids at Chet’s paid for their pop with dimes and for the candy with IOUs dropped into a large jar, then forgotten. Those boys began to bring friends from other parts of town. That’s how Steve and I were initiated in the early 1970s. It was a small, dark and dingy place, Chet’s was, crowded with machines used to sharpen saw blades. Hand tools were strewn everywhere. An old sofa sat beneath the window, alongside barber chairs Chet had found somewhere, an old card table, a large wooden spool turned on end and also used for cards, a few folding chairs, a black-and-white television on a shelf at one end of the room (we watched President Nixon’s resignation speech at Chet’s one night, but almost nothing else), a huge antique radio and a fireplace where Chet burned thick logs in winter. time, or that pop’s magnificent taste. Anyway. Within days, my brother and I were converts, our brown-pop days in the past. We hung out at Chet’s almost every night and drank Dew, one after another, just like the other guys. Our parents were grateful for Chet’s, for how much trouble can you get into in a machine shop? We were grateful, too, in our own way. We checked our small-town adolescent worries at Chet’s door and believed that life would always be that simple. Roger Johnson was one of the best high school basketball players to ever come through our little town. Gary Thome, his usual card partner at Chet’s, was a short, rather doughy guy, whose own modest athletic achievements occurred on the slow-pitch softball diamond. Steve and I played hockey and baseball. Doug Erdman, known in Chet’s as Erd, played football, too, but he was a farm kid first. Dave Strommen and his younger brother, Dale, were much more likely to be found beneath the hood of a car than on any athletic field. But at Chet’s, none of these diverging interests mattered. We were united by Mountain Dew, our love for Chet, and our unspoken appreciation at having a place to be. There was never any smoking or alcohol there. One night, Dave Strommen teased Dale, who picked up a screwdriver and tossed it at his brother with a force that caused the screwdriver to stick in the door. That was the only act of violence, ever. Instead of fighting, we talked about girls, or sports, or whether the Vikings would lose again in the Super Bowl. But more than anything, we played cards, hours and hours and hours of cards, until the faces were worn off the various decks. Two or three games of Smear were generally going simultaneously. Chet happily observed all this from the corner where he worked, or from the sofa beneath the window where he took his frequent naps. Sometimes, while prone on the sofa, he fed squirrels that climbed up on his massive belly. Occasionally he’d tell us stories, like the time late in the war when a group of German soldiers surrendered to just his buddy and him, or when a guy in his platoon fell on a live grenade, saving the lives of Chet and many others. Chet never spoke of Tommy. Most of the time, he said nothing at all. He just let us be. Around supper he’d climb off the sofa, leave the shop and walk to the back door of his house, where he’d have a few games of cribbage with his wife, Mildred. Every night at ten, he’d ring a bell from his back door, and we’d know to finish our card games, shut off the television, and lock the door to the shop. We’d hop on our bikes, or into our cars, and disperse into the northern night until the day after. Life could not remain so simple. I realize this now. My own hours at Chet’s dwindled my junior year in high school when I fell in love for the first time. There had to have been a last visit to the place, a last Mountain Dew drunk in Chet’s shop, but I don’t remember it. It probably came when I was visiting from college, when a new generation of boys had taken over the place. It wasn’t long before harsher realities began to intrude. Dale Strommen was killed in a terrible fire in the high school auto shop. Another of the regulars at Chet’s took his life by lying down in front of a train. Another guy began a struggle with alcohol that went on for many sad years. Some of us became lawyers, or farmers, or entrepreneurs, or engineers, or writers. We got married and had families of our own, wishing our children had a place like Chet’s, a place as simple and safe and fun, but so far as I know, none of our kids have found it. Last August, we buried my brother Steve after his long, painful and brave fight against lung cancer. I see him now inside Chet’s, a half-full bottle of Dew at his side as he sits at a card table, a thin teen-age boy tugging nervously at a mop of long brown hair while he bends over the cards in his hands. His eyes blaze with intensity as he plays. My heart soars and aches at the same time as I remember this, and I wonder again why life couldn’t always be so nice. Chet’s wife, Mildred, lives at an assisted living center in another town in Minnesota. When I called her the other day, she said Chet died of a heart attack in 1986, but had kept his shop open until the end. The latest generation of boys who hung out at Chet’s were his pallbearers. I recently tracked down a few of the guys, who told me how sorry they were to hear about Steve. Erd is still farming, living in the house in the country where he grew up. His daughter graduates from high school this year, he said. Roger Johnson works in marketing in Minneapolis, and his son is a high school basketball star like his dad had been. It sounds almost ridiculous, someone’s overly sanguine fantasy of youth. But I was there. I want to go back to Chet’s if only for a night, only for an hour, hang with my brother and the guys, and feel again what it’s like to be young and without care. But I can’t. I guess that’s what memories are for, memories and the odd sip of Mountain Dew. I shared this story with Fred Rogers, the children’s television icon I had met in 1995. 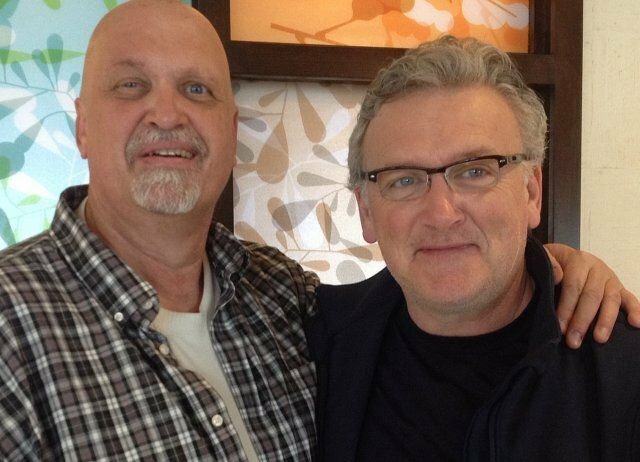 Not long after Steve died, I met Fred in Pittsburgh and we talked about my brother over dinner. Near the end of our meal, Fred said he had forgotten something in his car and rushed out into the night. A few minutes later, he returned with a twenty-four-ounce plastic jug of Mountain Dew, plopping it down on the table, beaming. He said he had been to two or three different convenience stores to find Dew in a bottle, but the plastic jug was the best he could do.